T.J. Johnson‘s season has come to an end. 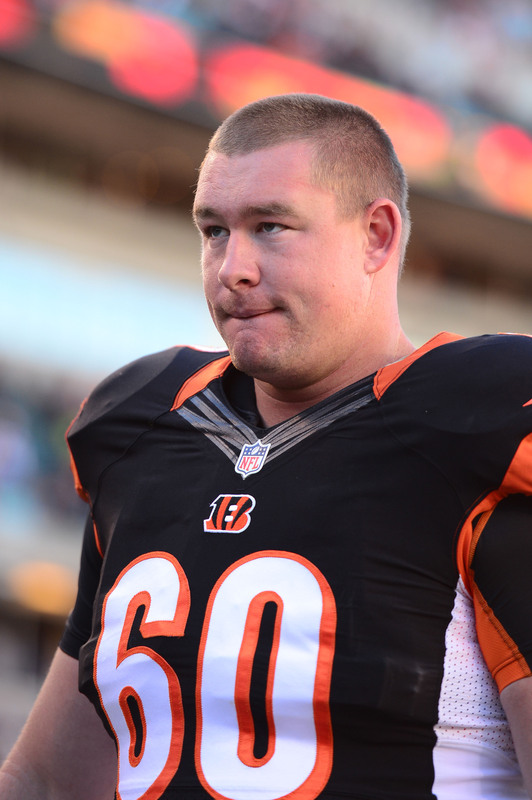 The Bengals placed the offensive lineman on the injured reserve today, reports Jim Owczarski of The Cincinnati Enquirer (via Twitter). The 27-year-old was suddenly mentioned on the injury report late last night with a pectoral ailment. The team has promoted running back Jarveon Williams from the practice squad to take the open roster spot. Johnson has been a dependable reserve lineman for the Bengals over the past three-plus seasons, as he’s only started five of his 45 career games. The 27-year-old, who is technically labeled as a center, has been relatively productive in 13 games this season, as Pro Football Focus ranked him 46th among 77 eligible offensive guards. With Johnson sidelined for the rest of the season, the Bengals will likely turn to Eric Winston, Alex Redmond, and Christian Westerman for more reserve reps.
Williams, an undrafted rookie out of the University of Texas at San Antonio, has spent the entire season on Cincinnati’s practice squad. His promotion could be an indication that Joe Mixon won’t be ready to go for tomorrow’s game against the Vikings. In that case, Williams would slide in behind Giovani Bernard and Brian Hill on the depth chart.